Wild Imagination: Where to Next, Joshua? The ASEAN Basketball League rarely gets any midseason player movement buzz and all for a very good reason: good players are usually picked up in the offseason and are rarely let go during the season.However, we have quite the rare case in this seventh season of the ABL. Of all of these cases, none really created much of a “buzz” when they were released from their former squad nor when they signed with a new one. Most of the midseason pick-ups were transactions to teams that eventually missed the playoffs, except for Justin Howard’s case in Season 5. That is what makes the entire “Joshua Munzon” ordeal so intriguing. It’s just something that has never happened before. For the whole thing to go down, a player of Morgan’s talent level had to be available and for the Heat committed enough to retain their core and swap out Munzon, who was performing at a decent level himself. Then, you had to have other teams in the league that just happened to have vacant import slots or was in great need of an upgrade. Suddenly, you are looking at a free agent of Munzon’s talent level who could rationally be added to a number of teams with instant impact. Let’s not get ahead of ourselves though. Not just yet. Munzon is a good player and the stats look pretty, but the 21-year-old is still a bit raw. While he can make threes (as seen in his 34-point outburst game), he has some tendency of launching long-range shots out of the flow of the offense. Munzon dunks a lot off of steals he creates, but those are usually in wide open situations. Many times have we seen him struggle to finish lay ups in traffic which could be a result of his wispy frame. Other than that, his imagination to create his own offense with the ball is sometimes still a bit limited and a large part of his points are assisted. His gaudy steals number (4.1 per game) looks nice… and it is. Munzon has a knack of picking off passes on the perimeter, usually ending up in a high-flying slam on the other end. His effort and quickness makes him a decent defender, but his upper body strength does cause him trouble from time to time. The whole point of this is that Munzon is still a young player who has holes to patch up in his game, just like any other young player. I have to make this part very clear. Whoever picks up Munzon from the table (if ever), is going to get a young player who will need to be polished. This is a dude that is 9th in the league in scoring and first in the league in steals. Even though his 34 points came at the hands of the Kaohsiung Truth, that still is 34 points, the 4th highest single game scoring total so far this season. I feel like Munzon has improved in every game this season, up to his latest game against Alab Pilipinas. Let’s recall that last game for one second: Munzon was going up against Bobby Ray Parks Jr. who scored 35 points in that game and 8/8 from behind the arc… yet he played well enough to still generate some buzz. A part of that buzz was because he is a Filipino-American, but he certainly held his own for most of the part. The upside from picking up Munzon at this point should be very intriguing for any team that can. 4 teams have already fulfilled their 2 slots. The Hong Kong Eastern Long Lions have Tyler Lamb (Thai/American) and Steven Guinchard (Taiwanese/French). The Kaohsiung Truth have Achie Iñigo (Filipino) and Raymar Jose (Filipino). 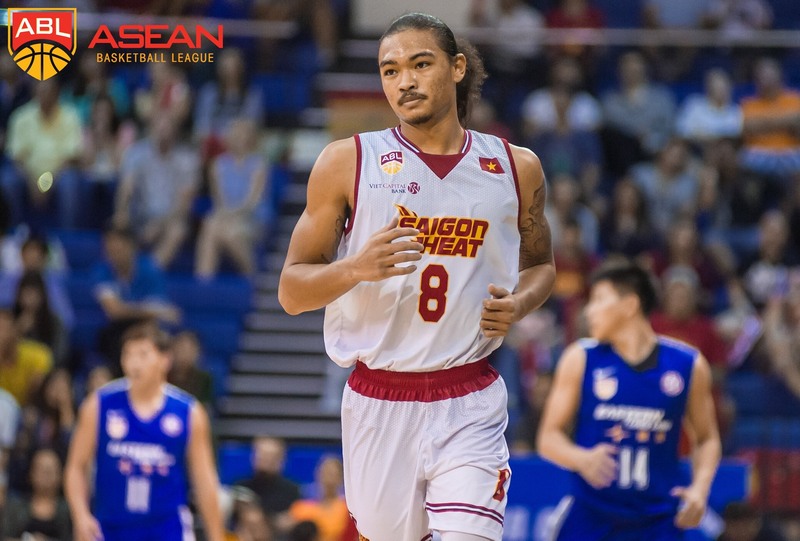 The Saigon Heat have Moses Morgan (Thai/American) and David Arnold (Vietnamese/American). 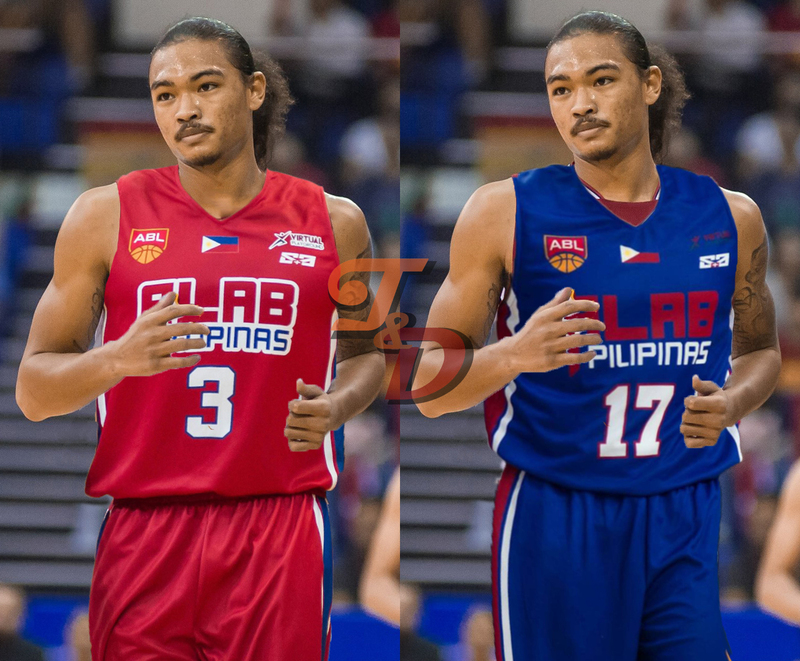 Alab Pilipinas has Lawrence Domingo (Filipino/American) and Igee King (Filipino/American). That leaves two teams who have a vacant spot which they could, in theory, use to pick up Munzon. 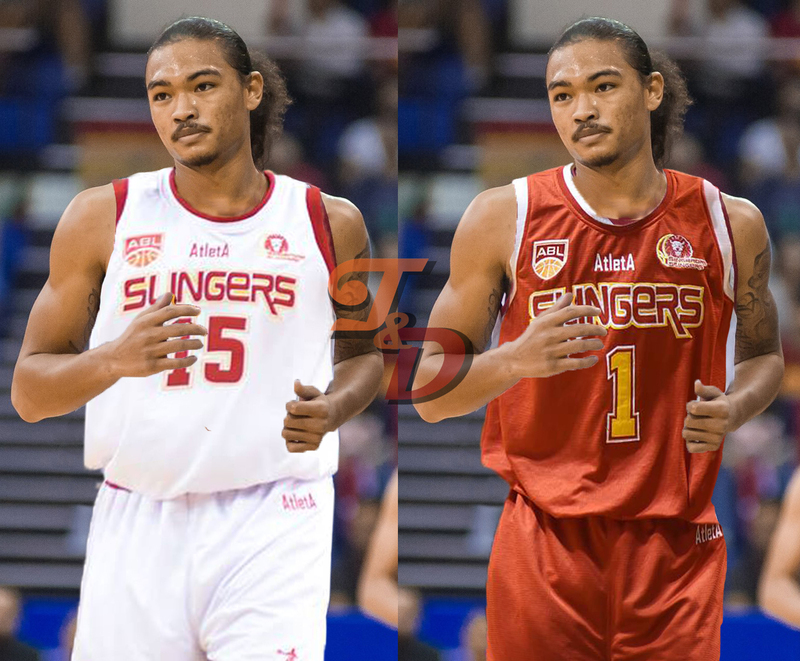 The Singapore Slingers only have Rolando Gardner (Filipino/American) after releasing Alli Austria (Filipino/American). 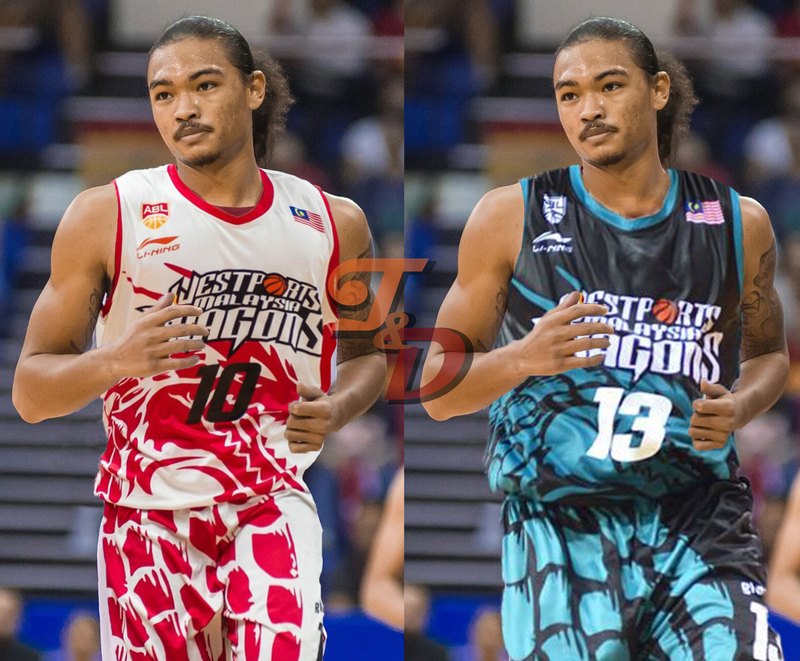 The Westports Malaysia Dragons have only had Freddie Goldstein (Thai/American) throughout the entire season. Therefore, the main players in the self-proclaimed Munzon Sweepstakes are the Singapore Slingers and the Westports Malaysia Dragons. In addition to those two however, it is widely believed that Alab Pilipinas is also in the mix as Igee King is barely a part of their rotation (9 minutes, 1 game played). Alab would have to release King to officially be a player in the sweepstakes, but since this is my “Wild Imagination”, let’s roll along with it and say King has been released. Three Players: Slingers, Dragons, and Alab. The Slingers don’t really need Joshua Munzon. They have been doing well even without much contribution from Alli Austria and are projected to finish as a top-2 seed at worst at this rate. They don’t need Joshua Munzon to be a title contender… but it certainly would boost their chances at securing that elusive championship and finishing #UnfinishedBusiness a little bit more. This could very well be the Singapore Slingers BIGGEST championship window EVER. While I admire that they are doing this with only ONE Heritage import who has yet to secure a big role… you have to wonder if they should capitalize their window by adding another Heritage Import. However, seeing how determined the Slingers organisation have been at promoting local talent it doesn’t seem that probable that they would suddenly break character. Just imagine how frustrating that pesky defense would be. With Wong Wei Long and Mitchell Folkoff bugging the hell out of ball handlers, not only do you have to worry about Xavier Alexander swooping in on passing lanes… now you add in the league’s leader in steals, Joshua Munzon. The Slingers would also be getting a much-needed upgrade on the wing. Folkoff has been a pleasant surprise of success, making the open shots he’s getting at a 47.4% clip. Still, the Slingers are lacking another scoring punch from outside. With Wu Qingde rumored to be heading into knee surgery, adding Munzon along with Gardner could very well be that boost that gets them over the hill. Impact: 7/10. If it happens, this move makes the Slingers a good bet to make the ABL Finals. It doesn’t boost their level by leaps and bounds, but it gives them that nudge they need to reach another level. Possibility: 5/10. It looks really good on paper, but I feel like the Slingers would want to clean their slate of #UnfinishedBusiness by following their original ideals of using only one Heritage Import. This is a scenario that I haven’t heard anyone talk about involving the Munzon situation and that sort of surprises me. However, the Dragons have been really quiet on the matter. I’ve learned that a lot of times when things are suspiciously quiet, it means there’s something lurking around in the shadows. The Dragons stated before the season started that they wanted to use only one Heritage Import this season to develop the local talent, similar to how their neighbours down south have been doing. But would signing Munzon at this point of the season really be deviating from the target of developing local talent by that much? Coach Thomas have firmly established that their main local players are Loh Shee Fai (26.0 minutes per game), Ma Chee Kheun (19.9 minutes per game) and Teo Kok Hou (19.9 minutes per gam. While, Loh Shee Fai is a wing, Chee Kheun and Kok Hou are clearly more comfortable in the guard position. The Dragons could distribute some minutes from Goldstein (35.6 minutes per game) to Munzon, which would give Kok Hou and/or Chee Kheun a solid forward to play with while they handle the guard duties. I feel like that would certainly be a nice situation to be in for both Malaysian guards who have no more than 1 year of ABL experience under their belts. A backcourt of Goldstein and Munzon is also something for the offense to worry about on the defensive end when they are engaged. Impact: 5/10. It would certainly improve their talent, judging that they won’t have to give up any players for him. However, Munzon is still only 21 and adding him to an already young squad doesn’t seem like the best of plans. Adding Munzon could push them to be favorites for that 4th seed in the playoffs, but I don’t see it elevated much higher than that right now. Possibility: 7/10. The Dragons are the defending champions and their season looks out-of-place right now. You can still develop local talent despite have two Heritage Imports and it would probably be better to ease the role expansion of the locals in a little bit. The Dragons are coming off two Finals appearances and I feel like their could be some pressure to at least make the playoffs this year. This move could be the move that does it. Somethings just feel too good to be true and this is one of them. The Filipino-American who has been playing as an import for a foreign team is released after playing his first game on Philippines soil. At the same time, the Philippines team could very well use a talent boost in the Heritage Import slot. If this “Munzon to Alab” deal goes down, there will be at least one conspiracy theorist that will come out and say that the ABL is rigged. Again, this would need Alab to officially release Igee King (which is something that hasn’t been done yet) to be able to take shape. But the idea of this happening is such a perfect situation that you just can’t help rooting for it to actually go down. For real. Alab has been strolling along pretty well in terms of perimeter offense, led by Bobby Ray Parks and solid contributions from JR Cawaling (42.3 3P%). It’s been their perimeter defense that has raised some concern, with the team forcing a league-low 9.4 turnovers. Cawaling, Val Acuna, and Robby Celiz are not exactly passing lane terrors and that creates some shortcoming on defense. In terms of effect on the court, it gives Coach Cuan a rotation of Parks-Munzon-Carter-Domingo-Hughes that he can go to. Munzon isn’t the best shot creator and in this situation he would have Parks to create for him. The trio of Parks/Munzon/Carter would be a nightmare for the offense. But beyond the basketball court, signing Munzon would be a dream come true. Munzon already has quite the following in the Philippines and getting play for a Filipino team would only benefit both sides. Impact: 9/10. Alab has their problems on perimeter defense and Munzon could patch that up. He brings along a threat that is more multi-dimensional that the other wings and that would surely free up Parks Jr. a lot more. Fans are going to love this deal if it goes through. Possibility: 9/10. I don’t think there would be any hard feelings if Igee King was released. In fact, few people even knew that Igee King was the team’s other Heritage Import before this. I feel like Munzon would be completely 100% on board to play for a Philippines team. All that’s left is whether Alab can afford to put Munzon on their payroll. So there you have it! Maybe Munzon doesn’t sign with any of these teams and decides to play the waiting game. Maybe Munzon decides to play in a pocket tournament just for some fun. I don’t know what will happen, but it was fun letting my imaginations run wild. Hey man, can you also let our model wear a jersey of my all-time favourite team? I really hope to see him in the future wear the the immaculate uniform of Ginebra. NIce catch-up articles you have posted for two straight days Sajjatam. Really enjoyed reading each of the items mate.